100 million years ago, a day was only 21 hours long, not 24. If you travel back in time, you will have to adjust your watch because around 100 million years ago, a day was 21 hours long and not 24 hours; yes – we are talking about the time when dinosaurs were found on our planet. Scientists state that when dinosaurs lived on Earth, there were only 21 hours in a day. What Makes the Scientists Say So? The scientists conclude about 21 hours because the clock of 24 hours exists in our technology and culture, which have not got their roots when dinosaurs lived on the planet. The Earth’s length has been gradually increasing throughout the history of the planet, according to the mathematical scientist of Monash University, Dr. Rosemary Mardling. This has all got to do with Moon in the universe. Dr. Mardling states that when the Moon was forming, our planet was spinning at a very fast pace. It was so fast that the day on Earth remained for two to three hours only. Moon orbited the Earth after every five hours. However, slowly and gradually, the spinning of the Earth slowed down due to which the duration of the day increased. And that’s what is happening with the Earth-Moon system. When dinosaurs lived on our planet, days were not as lengthy as they are in the present time. The spin down rate of the planet was much faster due to which they did not have as many hours as we do right now. According to Dr. Mardling, since the dinosaurs lived in the Mesozoic era, the length of the day would have been as long as 23 hours maximum and not 24 hours at all. 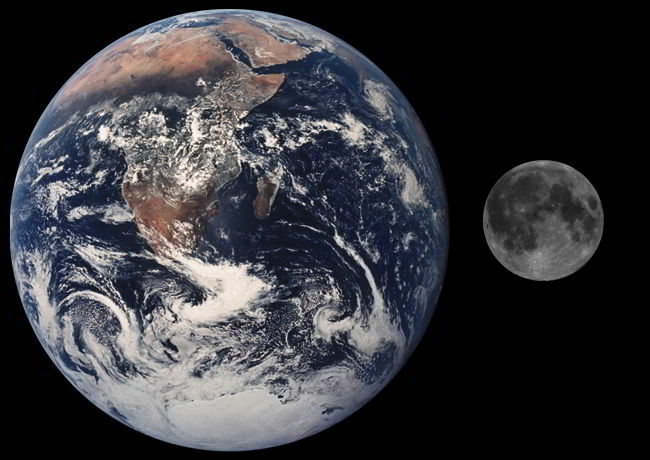 The Moon would have been closer to the planet and the world was surely different than the world that we live in today. Previous articleFinding pennies is considered good luck because years ago people thought that finding metal was a gift from the Gods and meant to protect you from evil. Next articleIn 1998, Sony accidentally sold 700,000 camcorders that had the technology to see through people’s clothes.